The patent system is broken. Patents may have been created to help encourage innovation, but instead they regularly hinder it. The US Patent Office, overwhelmed and underfunded, issues questionable patents every day. “Patent trolls” buy too many of these patents and then misuse the patent system to shake down companies big and small. Others still use patents to limit competition and impede access to new knowledge, tools, or other innovations. It’s no wonder that small businesses and individual inventors find it almost impossible to make the patent system work in their favor, often leaving them without any defense against competitors with giant patent arsenals and litigation budgets. Below, we explain these problems in more detail, and why we believe it’s time to start over. Patents are supposed to help encourage the development and sharing of new technologies. In the coming months, we will be rolling out a set of new tools and techniques that we believe can help shift the patent system in the right direction. EFF has always stood up for the freedom to tinker and the right to innovate. It’s time the patent system did the same. 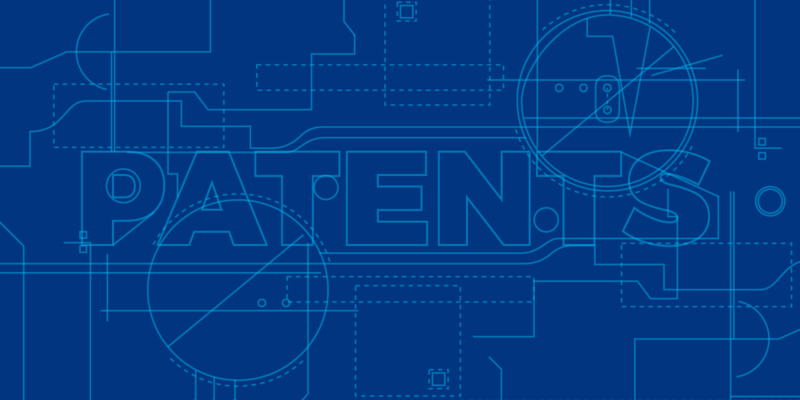 That's why EFF is launching a new campaign around patents—Patent Fail: In Defense of Innovation. Check back here for updates. The U.S. Patent Office, tasked with making sure patents are only granted to genuine inventions, is failing in this essential task. The result: a flood of bad patents on so-called inventions that are unoriginal, vague, overbroad, and/or so unclear that bad actors can easily use them to threaten all kinds of innovators. This is particularly true with software patents where inventions can be as abstract as a single-click to purchase a book or the idea of sorting your friends on Facebook into groups. Each of these serves as a cornerstone for a wide range of different technologies, and their overbroad claims, can easily be used to threaten the healthy competition we rely on to spur companies and technologists to experiment and out-innovate one other. Some bad patents—like a patent on hyperlinks—have been struck down or narrowed, yet the process of fighting a bad patent is expensive and can take years. Many small business owners and innovators can’t afford a lengthy legal battle in the courts or at the Patent Office. This leaves us with an untold number of bad patents, many of which represent 20 years of troublesome lawsuits, licensing fees, and stifled innovation. The people who most benefit from a system like this are patent attorneys, not inventors. Patent trolls have made the patent problem much worse. Patent trolls, entities that do not create, invent, or sell anything useful, instead acquire patents solely to threaten folks who might be using technologies related to the patents. Faced with the prospect of expensive litigation, the victims—including small businesses, independent developers, and nonprofits—are forced to pay exorbitant licensing fees rather than battle the issue in court. We saw a striking example of this in 2011, when patent troll Lodsys launched an aggressive campaign against scores of app developers. Lodsys, a company devoted to acquiring patents and then threatening entrepreneurs who allegedly may infringe those patents (usually unknowingly), sent letters to many app developers accusing them of infringing patents dating back to the early 1990s. Those patents allegedly cover the in-app purchasing and upgrade functionality that companies like Apple and Google provide to developers as part of their operating system. Lodsys is the last in a long line of owners of the patents, far removed from—and likely providing little or no revenue to—their original inventor. Rather than fostering new inventions, patent trolls like Lodsys make a business out of aggressive lawsuits targeting developers. Unfortunately, in the worst instances, small companies that can’t afford excessive licensing fees or a lengthy court battle just go out of business. But even those companies who can afford to take a license are faced with a pernicious tax on innovation. Faced with competitors eager to deploy giant patent arsenals as competitive weapons and patent trolls whose entire business model depends on extracting settlements, many small businesses feel obliged to fight back by amassing a few patents of their own—whether or not they really need the protection of a limited monopoly. In either event, it can cost between $5,000 and $20,000 per patent to obtain that protection, and take months or even years before an application is approved. And, obtaining a patent is far from a consumer-friendly process; a small business almost always has to hire a patent attorney to file the necessary paperwork if they hope to successfully receive a patent. Having obtained the patent, however, a small business may be hard-pressed to assert or defend it in court. Patent litigation is an arduous, expensive process. Threatened by a troll or a competitor with a bigger budget, a business may be left with little choice but to pay out a licensing fee. Ultimately, money spent to pursue unnecessary patents, and/or manage improper patent lawsuits amounts to a tax on companies, inventors and the economy. That money would be better spent on the valuable work of creating, producing, distributing, and promoting real innovations. Given all of these problems, it’s not surprising that many of today’s inventors are choosing to opt-out of the patent system. Software developers have led the way: indeed, many in the Free and Open Source Software (FOSS) movement, for example, argue forcefully that software patents should be abolished. FOSS developers are creating new software (and often giving it away for free) without trying to slap on legal protections for their work or stop others from using it and innovating on top of it. And it's not just the FOSS community. Engineers and innovators across the board recognize the danger of software patents. The system of patents as it currently stands, especially in the world of software, is unsustainable. We need a patent system that actually fosters innovation—or at least, one that gets out of the way. That's why EFF has launched Defend Innovation. This campaign suggests 7 proposals to address the most egregious problems with the software patent system and solicits the opinions of Interenet users for their thoughts about software patents and ideas for addressing the problem. Please visit the site and share your thoughts.